The remote eastern group of islands, the Lau group, have to be one of the best cruising destinations of all time and are certainly one of the highlights in a world cruise! Over the years, because of restrictive permit requirements, it has been very hard for yachts to visit the Lau Group. There is absolutely no tourism and it is very much open-ocean sailing between the islands, some of the passages between the the islands can be quite bumpy. The bonus however, is that isolated reefs and islands are well-defined, so that night passages between islands are safe for competent navigators. Indeed, one commonly reaches through the night across Force 4-5 trade winds, hearing and even smelling unseen islands to windward, making some superb sailing. Both Northern and Southern Lau are very remote areas away from any tourist track. There is absolutely no shopping, stores, or resorts! However there is excellent fishing, great diving, rich cultural experiences and beautiful scenery. The Fijians of this region follow a subsistence lifestyle that is not greatly changed from that of their ancestors. Unlike on the large islands there are few people of other races, and only rarely has land been sold out of indigenous ownership. It is very important that visitors respect traditions that underlie daily life, as careless or disrespectful behavior can lead to animosity, and damage to the fragile ecosystem. Please keep this in mind while cruising here. The island life is very simple, and the people are poor in material terms but rich in others. Most villages have a store, but there is little for sale. Fresh fruit and vegetables are hard to find, and villagers are not used to the idea of selling these things that are normally shared freely with friends and family. Premix petrol (and occasionally diesel) is sometimes available in the larger villages. While most islands have a telephone at the post office, internet is rarely available. 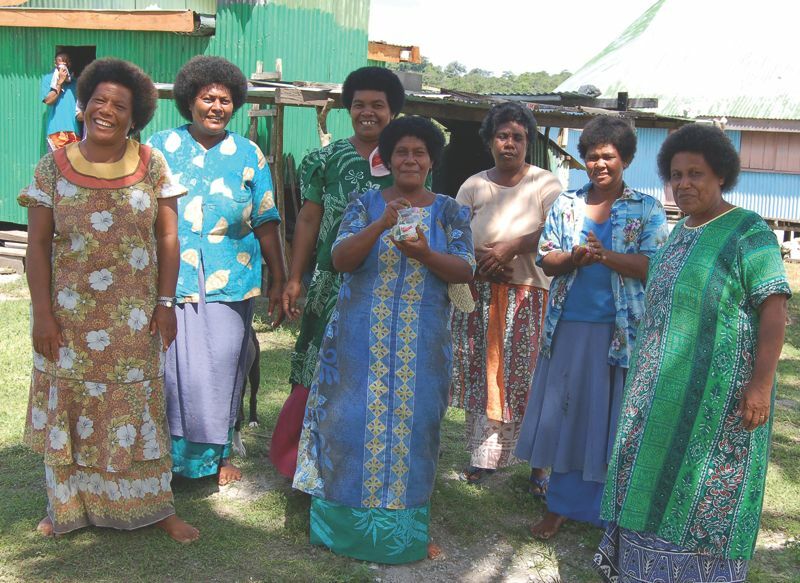 Vanua Balavu and Lakeba have the only airports in Lau, and both may have have once-weekly flights. Cargo ships, with passengers, visit some islands roughly monthly (in theory), but this is unreliable. Due to this infrequency, the local stores are often in low supply, so do not rely on buying any of your supplies here. 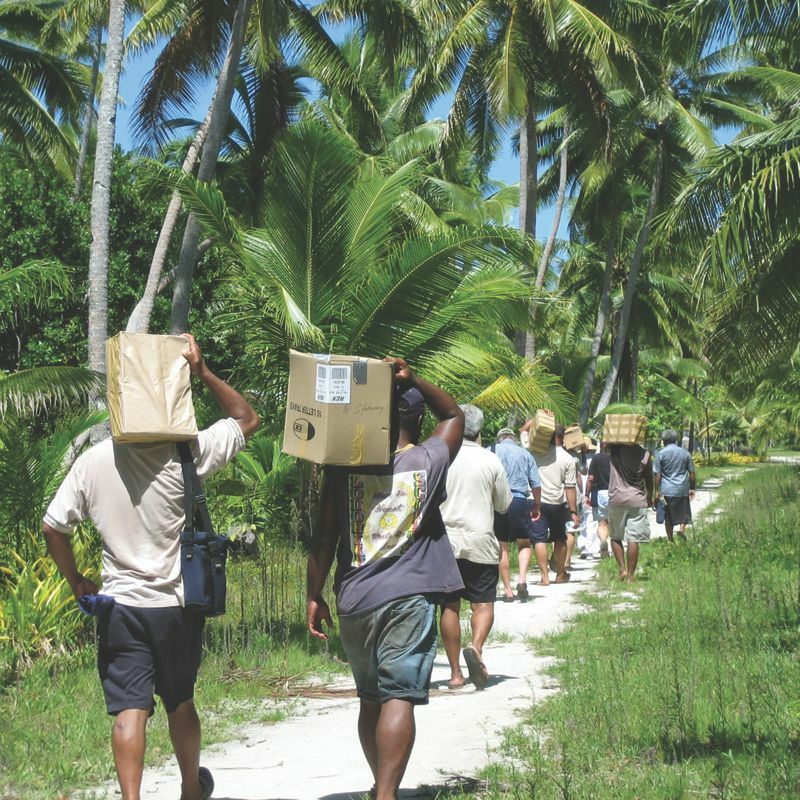 Cruisers may be able to help in this respect by carrying extra supplies of sugar, rice and flour (which may be used for trades; or in sevusevu if supplies of yaqona have run out – see below). 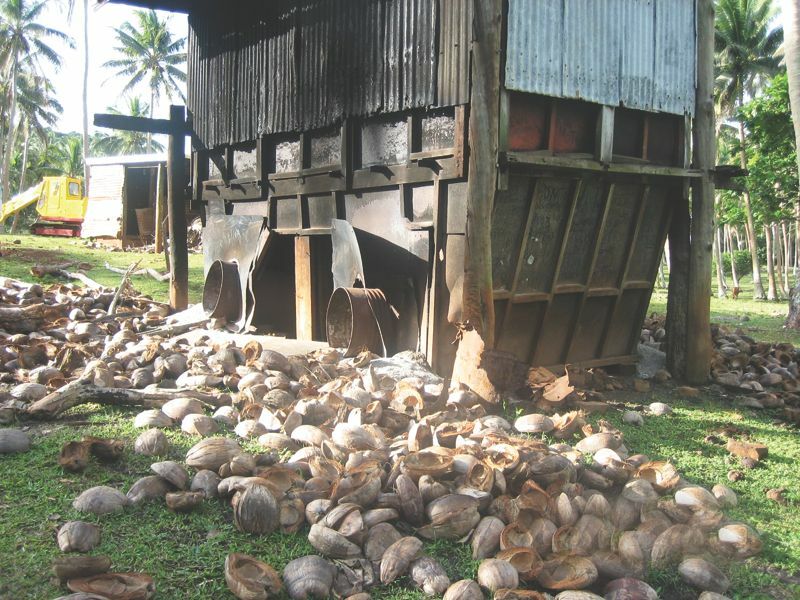 One may also be asked to carry produce (MANDALA carried 50 wooden kava bowls, and three sacks of smoked sea slug to Suva from Fulaga) or people from their islands to the main islands. Please observe the sevusevu protocol; you must bring the required yaqona with you as it cannot be purchased easily once in Lau. This means estimating how many villages you will visit during your entire stay! In these remote islands, gifts of basic stores, schoolbooks, pens, pencils, paper, and both school and medical supplies are greatly valued. Be aware that Officials can be, with reason, suspicious of yachts anchoring in remote places. Accounts of caches of drugs being found on deserted beaches in Lau, deposited by one boat for another to collect (likely en route to Australia or New Zealand) fuels such suspicions. While in Lau, you must also pay particular attention to observing the iQoliqoli protocols (see below) as they are of fundamental importance and followed more strictly in this area, that retains such a strong link to tradition and culture. While the state ultimately retains ownership of the ocean and her resources, the people of Fiji have been given tenure and the right to fish for subsistence from allocated areas of coral reef referred to as ‘iQoliqoli’. 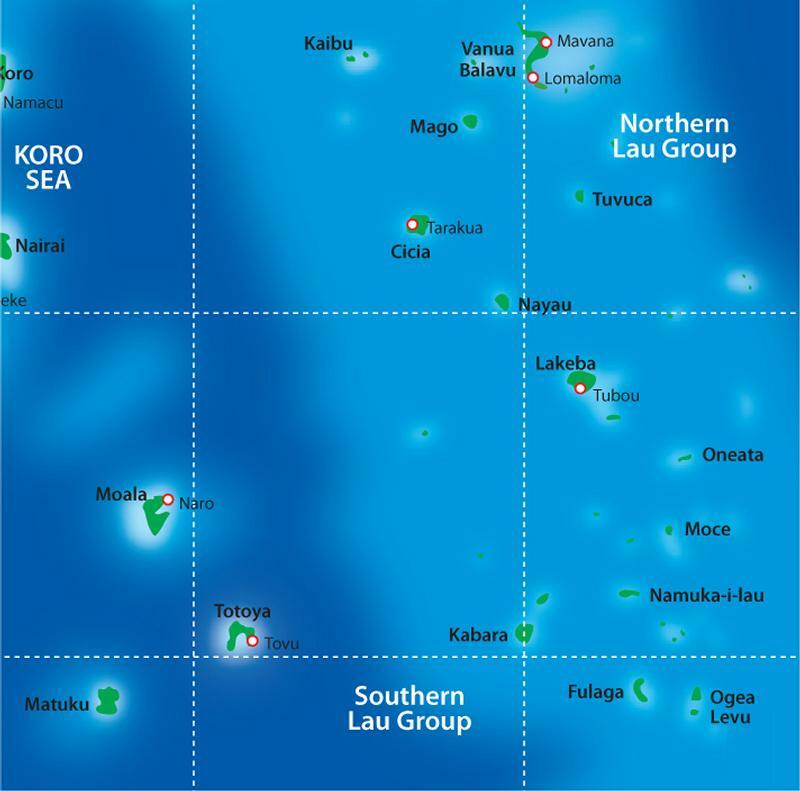 All coral reef areas in Fiji are part of an iQoliqoli. Deeper water passages between the islands of Fiji are commonly outside of iQoliqoli areas. If your yacht is berthed within one of the iQoliqoli jurisdictions (apart from a marina), you will need to present your sevusevu to the village and ask for permission to anchor there. Permission to cruise Lau waters is included in your government issued Permit and there should be no additional payments made to any village for anchoring once a sevusevu has been presented. Of course they retain the right not to accept, but respecting sevusevu protocols and perhaps making donations of useful school and/or medical supplies (which much more beneficial to the community and country as a whole) this should not happen. The region is dominated by the SE trade winds, which are usually from Force 3 – and mostly 5. Quite frequently these bring showers. When fronts pass through heavy showers and rain are more frequent, making navigation in lagoons a little tricky. June July and August can be boisterous sailing. Before stopping in Lau, you will first need to report to a Port of Entry. While there is talk of a Port being set up in Lau, this is unlikely in the foreseeable future. Fijian immigration and customs officials take their roles very seriously, and any boat found to have stopped in Lau before clearing into Fiji is likely to be in serious (and expensive) trouble. 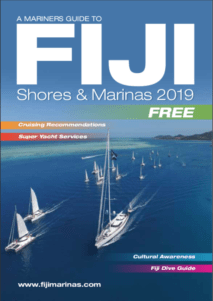 Please refer to the Entering Fiji section i this guide that details all the information you will require. If Lau is your destination and you are arriving into Fiji from the East perhaps consider entering in Savusavu. From here it is only a 40nm hike to windward into the lee of Taveuni and thus much closer to Northern Lau. 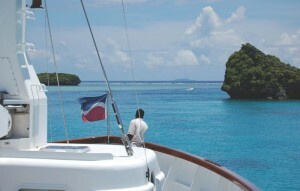 If you have guests on board that would prefer not to make the windward passage, or your ship is constrained by a time factor, there are daily flights from Nadi to Taveuni or Savusavu, or special charters flights can be arranged with passenger helicopter, seaplanes and other operators (see Directory). There are small grass airstrips at Lomaloma, on the island of Vanua Balavu, and on Lakeba as mentioned before, but these are not always accessible if the weather is difficult. From Nadi it’s a 240NM mile passage back to Vanuabalavu or from Suva 180NM against the prevailing winds to get to Northern Lau – however, you will not regret the effort once you arrive! The best way to get to Lau is to wait, happily, for the few days of west- or north-quadrant winds that comes every week or two, when a front moves through the region, and these will give you a free ride from Suva to Matuku or Fulanga; or from Taveuni to Vanua Balavu (Adrian’s yacht, MANDALA averaged near 8 knots on this!). Largest island group in Lau, has 5 wide passes into a lagoon 15 miles by 15 miles. With many islands inside the lagoon, and many excellent anchorages, for example, great calm anchorages can be found in the fjord like harbor at Nabavatu and in the stunning Bay of Islands. 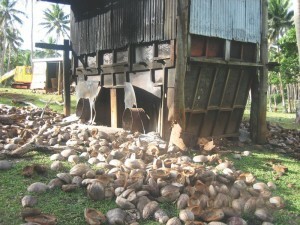 The official hurricane anchorage is Malaca on the west coast level with the village Moalevu which is on the East Coast. There are many cruising options here, and one could be happy for a month or more. Sailing across the prevailing winds south of Vanua Balavu, anchorages can be found near the main village of Tubou on the Western side of Lakeba. Population is about 2000, in 7 villages spread around the shore, with a road running right around. The island has a very basic shops and a clinic. There is a basic guest-house, but no other facilities for visitors or tourists. This roughly circular volcanic island, about 6 miles across, is the political centre of Lau, indeed Lakeba, and Bau (on Viti Levu), were the two poles of power in traditional Fiji, and the tombs of several of the great leaders of Fiji are revered on the main village of Tubou’s waterfront. The channel through the reef off Tubou is very narrow (20 m wide), is only roughly marked and very challenging. Leading about half a mile inside the reef, the channel leads to a long jetty, and past this to a narrow anchoring basin about 6m deep on sand. With care there could be room for two small cruising yachts, but only using great skill, good anchors and co-operation. The anchorage is calm, but difficult. It is recommended to take a dinghy ride in before entering with the yacht, and to enter only at slack water as currents are strong. Not really recommended for any sizable super yacht; the pass is considered very dangerous at times. The ship can lie off Tubou while the tender can be used to pick up and drop off guests via the dock and then to the small airport on the island (4nm NW of Tubou). A local carrier can be hired to carry the guests but this is a hard seat truck – no taxis here! Local cargo ships at anchor outside the passage in calm weather. Another anchorage to the North of Tubou on the western side of Lakeba is called Wainiyaba (18 12S 178 50W). This affords an anchorage in winds between SSE and NNE close to the reef in about 60ft. There is a small boat landing here, through an opening in the reef by the shore, close to the anchorage. The leads here are a couple of beacons with a white triangle top mark, point up, on the shore and the course in is about 120T on the alignment of the beacons. 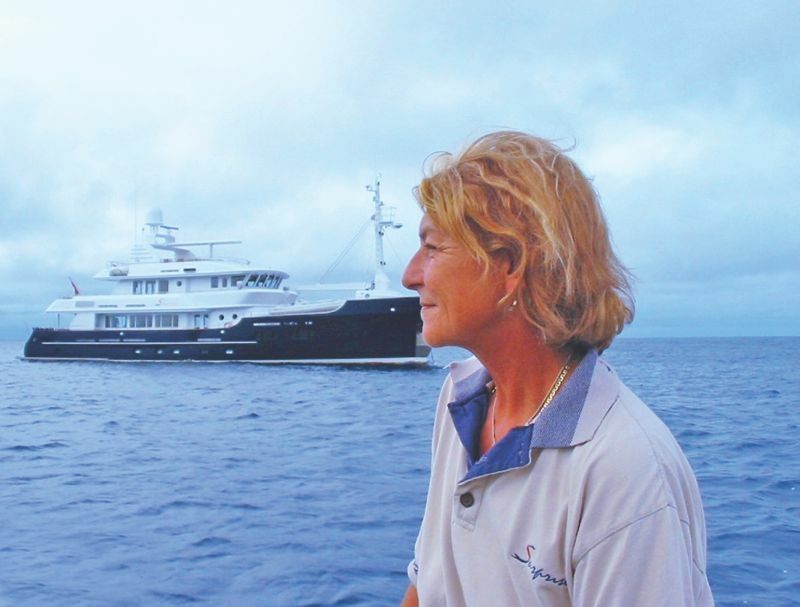 An issue you may encounter while cruising the Lau Group is that of being asked to pay to anchor by iQoliqoli owners. Due to relatively recent changes in the application process for cruising permits (previously, yachtsman would be required to apply separately to the Lau Provincial Council in order to cruise the Group) there is some residual lack of clarity which can create confusion. To the South East of Lakaba is the island of Oneata which has several reasonable passes in good light. There is a nice village on the southern side and lovely anchorages on the Northern side. Has a deep wide pass and a delightful village on the southern side of the island. The anchorage is normally mid island on the Northern side and guests can walk through to the village to the south; but with care a yacht can pass west about the island and anchor on the SW side of the island and islet. Further south the Yagasa cluster affords some remote anchorages away from any village. There may be a few fishermen around but that’s about all. Like many islands in Lau, the land is sharp, raised coral rock, and access to the land is difficult: the anchorage is welcoming, but the land is not! The middle island in the cluster, Navutu-i-Loma, has a small, pretty beach on the Northern side. South again to Fulaga, this island consists of an oval rim of junglecovered hills of raised coral, around a lagoon about 6 miles by 5 miles where the small sailing canoes (Waka) are still seen today. There is one 50m-wide pass into the lagoon, straight but challenging – and dangerous in bad weather or strong tides. Inside the lagoon are countless mushroom islets and some larger islands dotted with rare palms, countless anchorages over white sand, usually <10m deep. At least one anchorage could be considered hurricane shelter for a small boat. The pass is difficult, but can accommodate at least a 35m vessel with a draft of 3m. This cannot be attempted with a strong current running and the usual time to enter this pass is on slack water, which is usually at half tide. Population is about 400 over three villages. One village (Naivindamu) lies on the W shore inside the lagoon, with good anchorage about 200m offshore allowing ready contact with the welcoming villagers. The other two villages lie close together on the southern edge, with two tracks leading from the lagoon to them. The headvillage, Monacake, where one should present the sevusevu, has the school and clinic, and is about half an hour’s easy walk over the hills. No airport, and very infrequent ships make this a very isolated world, rarely visited by yachts but well worth the trip. This island has a deep and wide pass and the diving is truly awesome. The village is to the south of Ogea Levu and needs to be approached at high tide to make sevusevu. A run with the wind into the Yasyasa Moala Group overnight is good with the usual prevailing easterly quadrant winds. 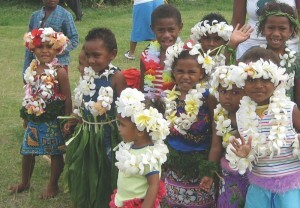 The group is comprised of three islands – Moala, Totoya and Matuku. The island is of volcanic origin; the summit of ‘Delai Moala’ is 468m high in the NW part. A barrier reef encircles the island, line up Double Hill on a bearing of 080T which leads you through the pass into the lagoon. NE Point bearing 167T leads to an open roadstead (Herald Roadstead) or approximately 0.7nm off the Northern part of the island on this alignment turn onto the leads bearing 189T. Naioi, situated at the NE end is the principal village of the island and your sevusevu needs to be carried out here. The island is about 5 miles wide, being the rim of a volcano with the crater open to the south, and a barrier reef around most coasts. The crater is accessible through a clear pass on the west side, and by a passage inside the reef. Anchorage in the crater is far from ideal, and very deep (20m+). Anchorage on the N coast is possible, open but calm in S winds. The usual anchorage is inside the pass on the western side in Herald sound. This is a beautiful, verdant, high volcanic island, with its crater open to the west through a wide, clear pass. There is an excellent sheltered anchorage, 10 – 15m over mud inside the crater off the village of Lomati. Other deeper, less sheltered anchorages are in the channel inside the pass, to the north of the main channel (17m over sand), or south of the main channel, amongst coral (6m over sand). There are more marginal anchorages inside some narrow passes on other coasts. Seven villages are spread around the coasts, with total population about 800. No airport, only occasional shipping and yachts (mostly surf and dive charters). The main village is Yaroi, on the NW coast, with a clinic and school. Anchorage is possible off another delightful village, Makadru, south of the pass.